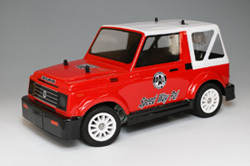 Speed Way Pal "Suzuki Samurai Body" is now available! 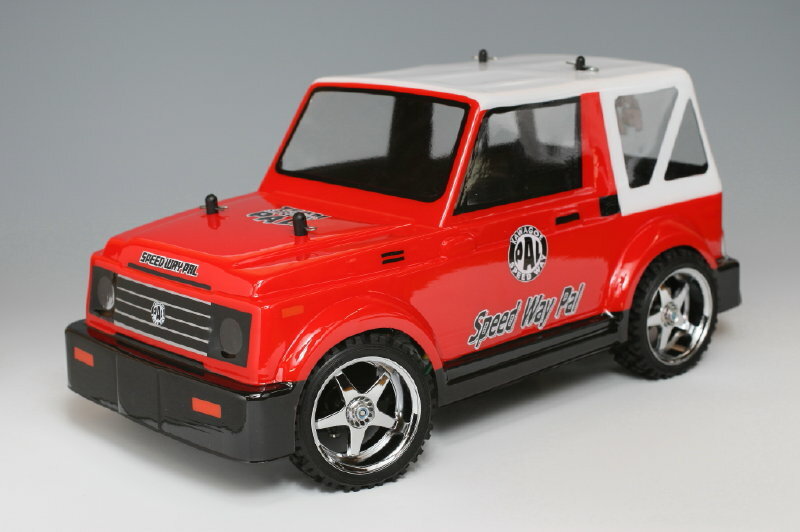 Suzuki Samurai body from Speed Way Pal! You can enjoy both on-road and rally style by changing tires as the above pictures. 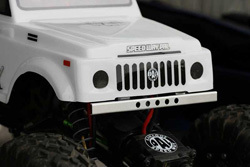 The body also fits to 2.2" crawling trucks if you change the cut line. The product will be supplied clear, unpainted and includes decal sheet, pre-cut window masks and a mount for a spare tire. There are some optional parts for you to enjoy decorating your Samurai in your ways! These Aluminum Aprons are especially designed for Samurai Body. Choose from type A or B. 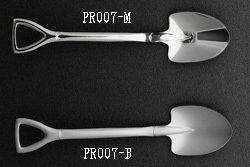 These miniature shovels are especially designed for Samurai Body. 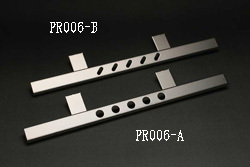 Available in luster finish PR007-M Mirror Chrome or matte finish PR007-B Blast Chrome. 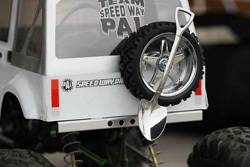 Visit Speed Way Pal official website! Looking for matching tires and wheels?